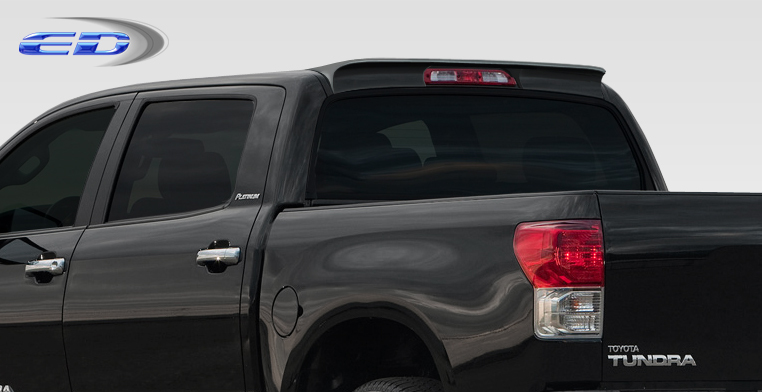 2014 marked the release of the second generation Toyota Tundra. It was welcomed with critical acclaim for its styling and technology advances. 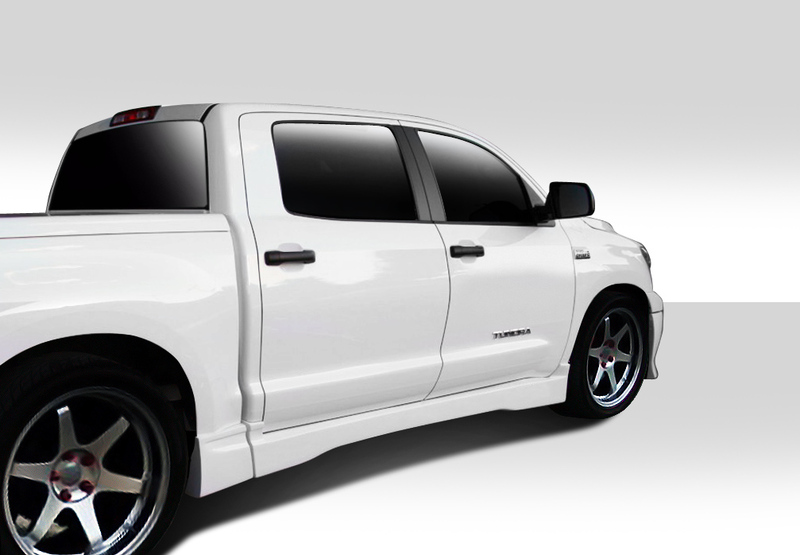 Although the second generation Tundra was blessed with great styling we can help you improve on it. 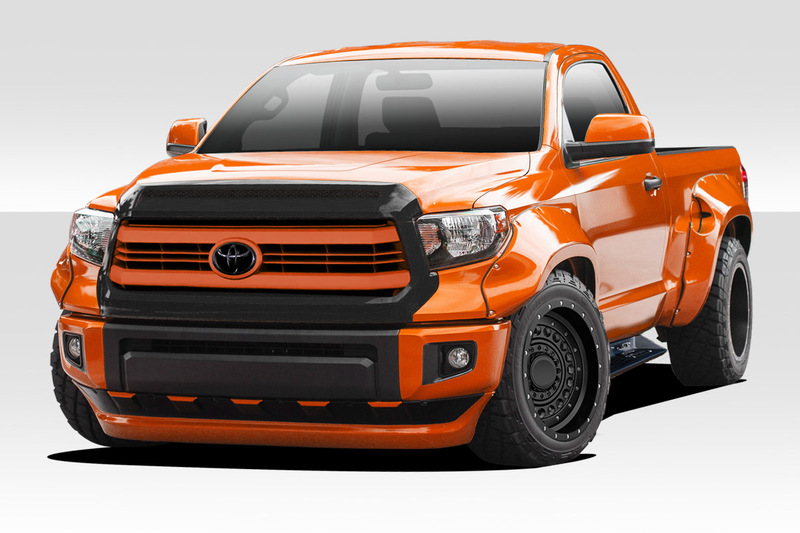 Additionally our Tundra body kit catalog contains other upgrades including custom fenders and hoods as well. 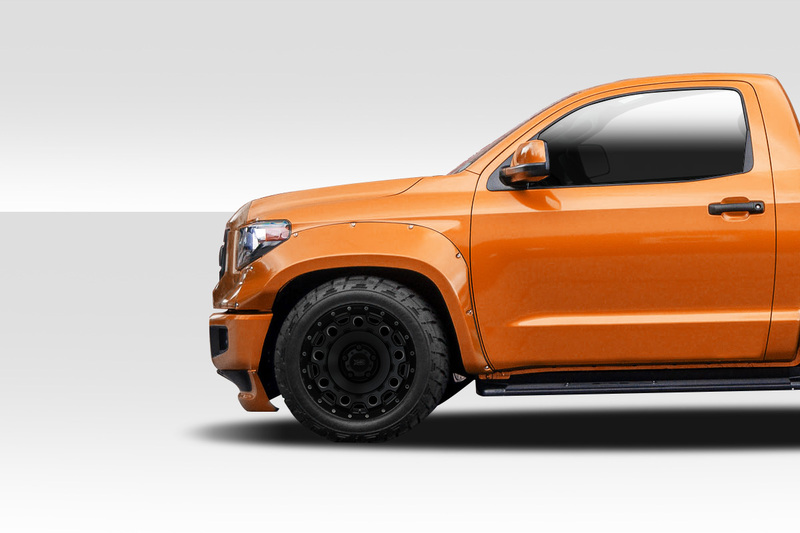 The Circuit body kit is our best selling upgrade for the second generation Tundra. This body kit features widened fender flares at all four corners. This allows your Tundra to fit wider and more aggressive wheel and tire setups both for lifted and lowered trucks. We offer the Circuit body kit in 4 piece and 5 piece versions. Circuit Fender Flares Kit 4 Piece includes Circuit Front Fenders Flares (113816) and Circuit Rear Fender Flares (113817). The 5 piece kit adds Circuit Front Spoiler (113818). 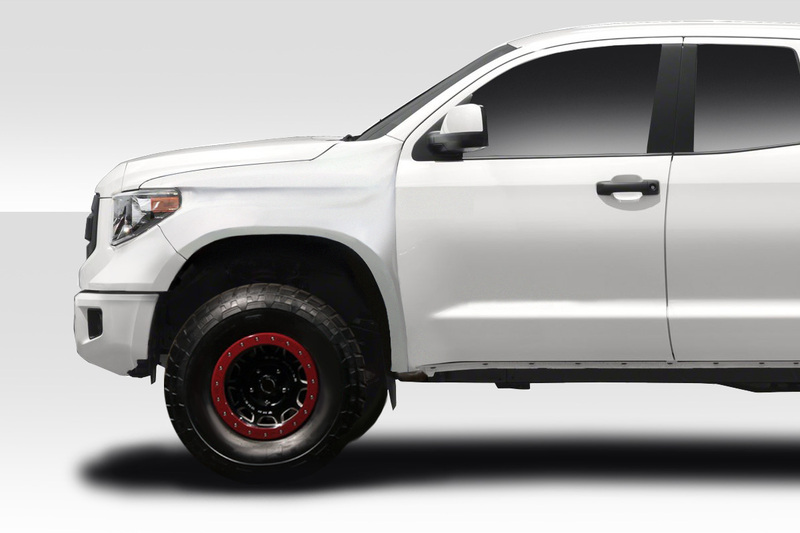 For lifted Toyota Tundra owners we offer our 4″ off road bulge fenders. These fenders replace the stock OEM sheet metal fenders. Additionally the bulge fenders offers an extra 4″ of wheel clearance per side. 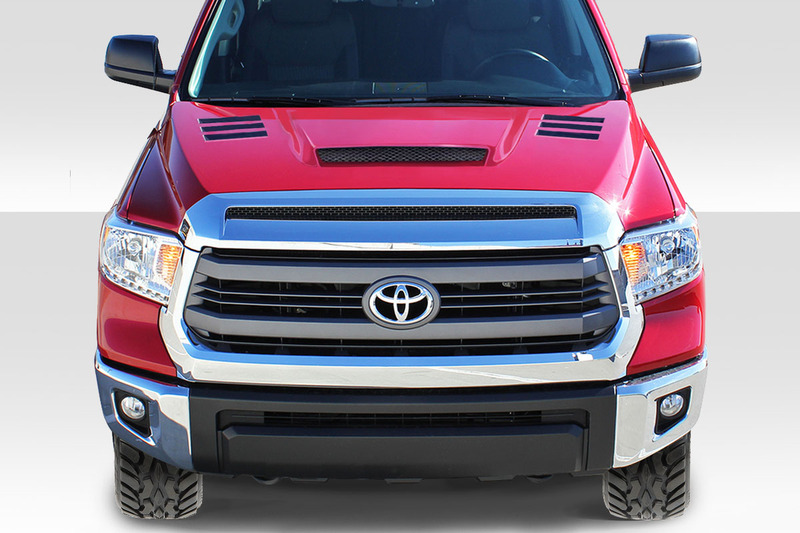 Therefore you can increase your tire clearance significantly when using your Tundra to its capability off road. In other words this will fix your problem if your tire is rubbing the stock fender. 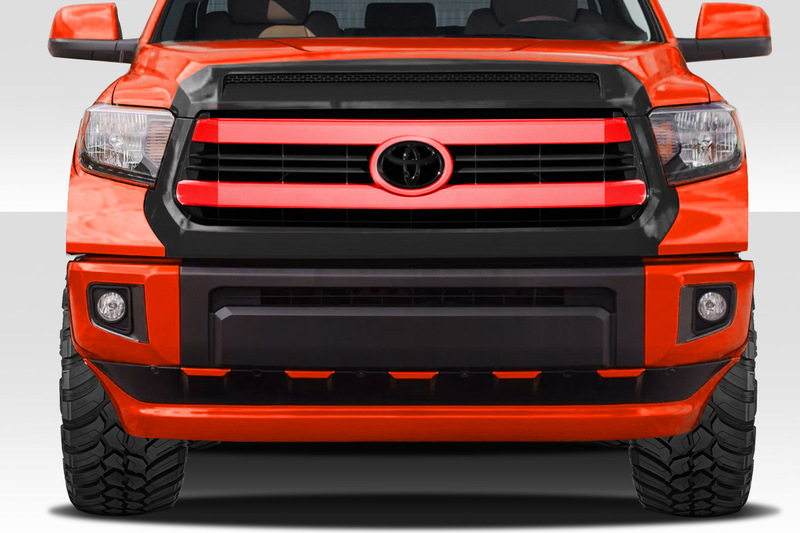 Duraflex and Carbon Creations have released the popular Viper Look hood for the second generation Tundra. 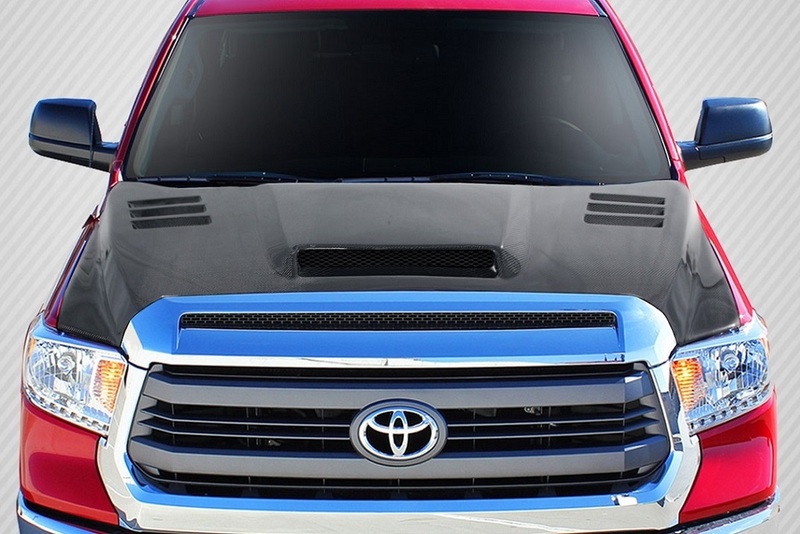 This hood design allows for dual benefits of improved cooling and styling. For example any time you can introduce cool air into the engine bay at the same time as getting hot air out, your underhood temperature will drop significantly. Additionally the Viper Look hood looks great on the Tundra. The styling is aggressive and muscular and very bold.